“Super Bowl Ads” have been held high for years. A number of audiences tune in to the super bowl just to watch the commercials. I am one of those people. The super bowl has always been known as one of the most popular televised specials in the United States. In recent years, over 100 million people have tuned in to watch the famous football game. Companies and brands have always seen this as a perfect time to advertise themselves to an enormous audience. In result of this, companies will brainstorm to come up with an extraordinary commercial that will stick to viewers minds and blow up on digital outlets. With the super bowl just around the corner here are a list of the most iconic super bowl ads. Don’t forget to come out to Brand Bowl which is happening on SuperBowl Sunday. 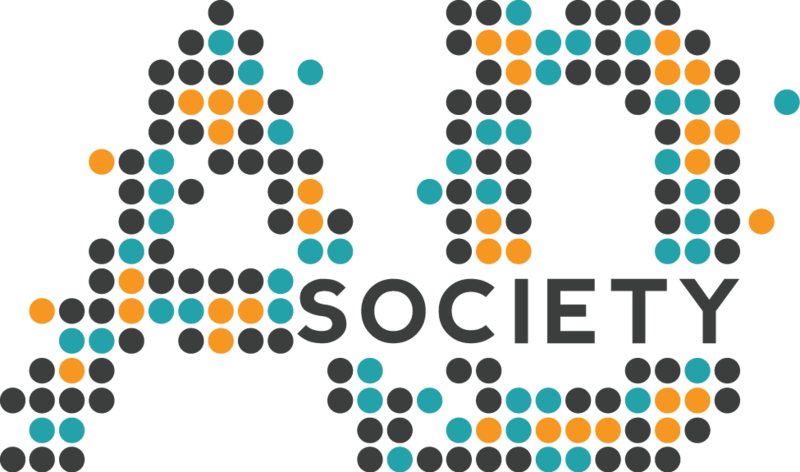 Ad Society has partnered with PRSSA and The Agency to host an event where students get to vote on the various commercials shown throughout the Super Bowl. You don’t have to participate to come by, so stop in for some fun and delicious food. Apple aired this ad back in 1984 and is known to be the first viral super bowl ad. The ad was only aired on television once, but was replayed through various news outlets around the world. The ad was popular for being outlandish and contributed to a high number of Macintosh computer sales in its’ first three months of being released. This iconic Doritos ad was aired back in 2007 and was the first ever crowdsourced super bowl ad. They were able to connect with customers in a comedic way. Doritos took a leap of faith and are now known as one of the best in the biz when it comes to super bowl commercials. Coca-Cola aired this quirky commercial in 1979 and is known as a classic super bowl commercial. Joe Greene drinking a little boy’s Coke became so well-known that there have been recreations with other sport stars and NBC created a TV movie off of it. Monster.com decided to imprint themselves in people’s minds with this super bowl commercial in 1999. They used children to signify people who are unhappily employed. With this strong message, Monster.com became the most well-known job-search employer. Pepsi attracted a lot of attention with this commercial featuring Cindy Crawford. Pepsi focused on the popular super model as two young boys eyed her while she drank Pepsi from a can. The boys were actually eyeing the new Pepsi can the entire time, which brings some comedy into the mix. 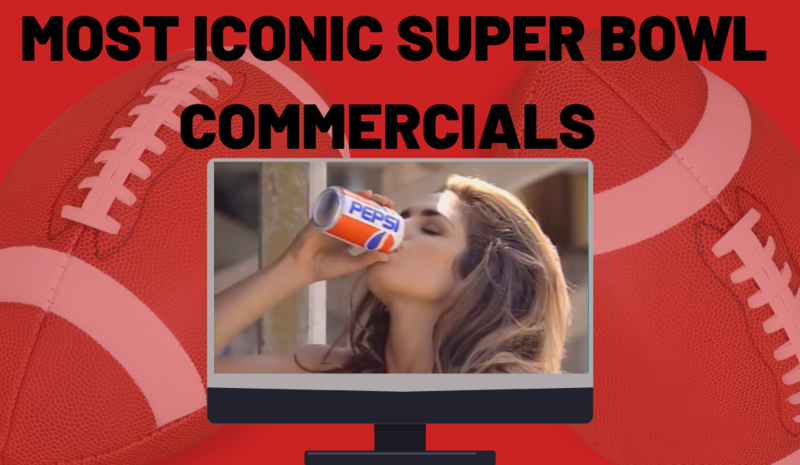 Cindy Crawford has been featured in a couple of other Pepsi super bowl ads following this one. Snickers used one of the most beloved actresses of all time, Betty White, to deliver a hilarious commercial. Betty White portrays a male football player that isn’t playing right because of his hunger. Once she takes a bite of a Snickers, he’s changed back to a male and playing better. This was so popular that Snickers produced number of other “You’re Not You When You’re Hungry” commercials through the years with other iconic actors. 2010 saw the birth of the famous Old Spice commercial, “The man your man can smell like.” This commercial was not actually aired on television, but posted online during the game. The ad was not only a viral campaign, but one that increased sales by 55 percent. Isaiah Mustafa, the star of the ad, was brought onto ‘Ellen’ to speak about the growing fame of the ad. Old Spice has created similar advertisements featuring famous male figures and some more with Mustafa.